Find My Workspace lists over 95% of the serviced offices market in Cleveland (Brisbane). Simply click Request Quote to check pricing for one office, or Add to Basket for multiple offices. This modern building offers bright, airy office spaces, alongside a number of excellent services including; telephone answering and 24-hour access. You can take advantage of access to coffee and tea making facilities, printing and scanning facilities, plus a friendly receptionist to greet your guests and accept your mail. Offices are available fully furnished, with large windows to allow an abundance of natural light into your working environment, plus you’ll have access to boardrooms in both of this provider’s locations, completely free for up to four hours each month. 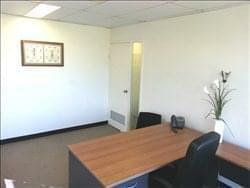 This space is ideal for growing your business in the heart of the Redlands. To obtain information for your selected Cleveland (Brisbane) Serviced Offices, please tick the "Add to basket" box for each office you prefer and complete the form below. We will then send a detailed report via email.